This adventure is for shooters that have at least some experience. You should know the fundamentals of good marksmanship. You should be comfortable shooting a semi-automatic rifle accurately from a bench. If you can shoot fast and accurate so much the better. 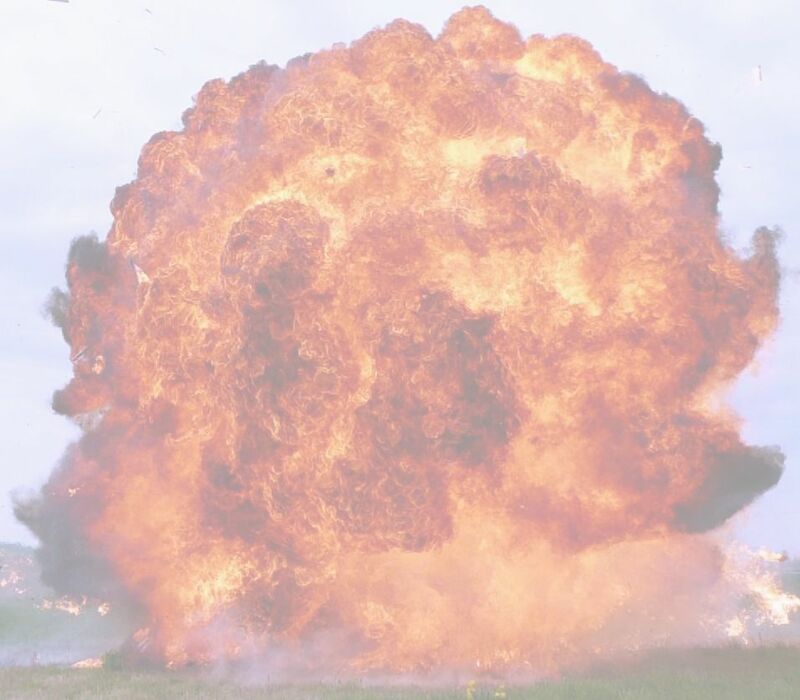 People desensitized to explosions will rediscover the joy of high explosives. The price includes the rental of a rifle and ammo. Your own semi-auto center-fire rifle and 150 rounds of ammo. The adventure starts at 9:00 AM with a 15 minute review of the safety rules and your rifle operation. There are three identical strings of fire. All three are timed. If one of your times is in the best ten of all time you will make it into the record book and it will be posted on this web site. A string begins with you and your fellow shooters sitting down at a sturdy bench. At the start signal you all start shooting. There are 20 1 L sized targets for each shooter that range from 50 to 100 yards away. These targets are huge compared to the typical boomers, if you miss one of these targets it was because you were trying to shoot too fast, the clouds of dust and smoke obscured your vision, you were giggling too much, or the intense pounding of all the big boomers going off made it difficult to hold your head steady. After the targets are cleared the targets are replenished while your gun cools down. After you have stopped laughing and whooping with joy you and your teammates will discuss strategy for the next string and reload your magazines. Fifteen minutes will be spent cleaning your rifle and then the adventure wraps up with 30 minutes of Boomershoot history and discussion. You will be finished by 12:00 noon. Smart, top-notch shooters, may finish even earlier.